In 2009 a primary area for my writing was athletic budget cuts, driven in large part by the significant economic downturn that occurred in 2008. As the economy improved and television money and conference realignment took hold, these issues became less prominent and seemed to disappear. Unfortunately they may be returning and are at the forefront of the minds of many athletic administrators. These concerns are driven largely by changes in the NCAA governance structure that have institutions anticipating millions of dollars in previously impermissible new expenses being planned by schools in the "Power 5". Virtually unlimited meals, cost of attendance stipends, multiple year scholarships and a host of other expenses are poised to become "permissible" in early 2015. 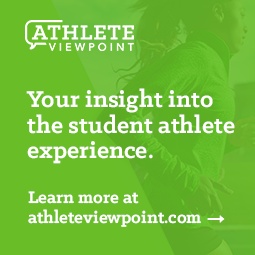 Further, a deregulated rules compliance landscape is providing institutions more latitude in their decision making than ever and in many cases light penalties are expected in areas with student athlete welfare implications. A huge wake up call on the economic front is the decision by the University of Alabama Birmingham to drop three sports - football, bowling and rifle. Obviously football is the most stunning sport to be dropped and is the first major college football program to be dropped since Pacific did so in 1995. Further, UAB must spend millions to drop the program due to penalties they will owe to a number of institutions for failure to fulfill contracts for future contests. As additional budget information emerges across the country, you an anticipate ultimatesportsinsider.com will share the news and commentary. If you are interested in a reminder of what the landscape was like five years ago, here are my 55 previous posts.